The Newest Rant: Two Black and White Marvel Comics Reviewed. 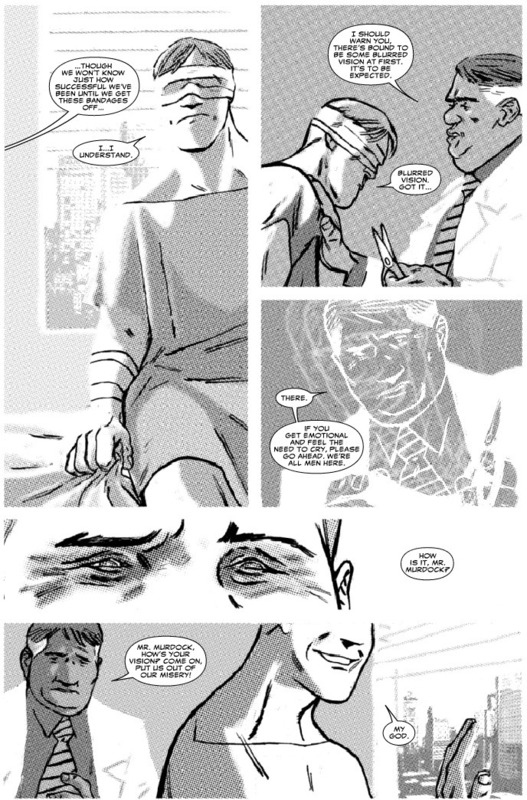 Marvel comics did this thing where they released a bunch of their comics in black-and-white. There was a Wolverine issue, Iron Man, Ares, Shang-Chi, and more. I'm going to review what I think were the last two that came out--the Daredevil issue and the one that collected popular marvel monsters called, "Tomb of Terror". Just for kicks I'll compare and contrast them too even though they have little in common other than the lack of color. From reading both of these I re-affirmed the belief that comics that aren't in color can be just as good-looking as those that are, but on the other hand black-and-white comics can have just as poor writing as their colorized versions also. 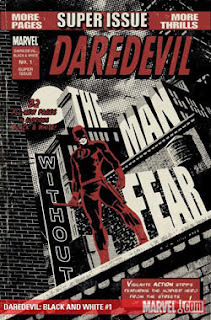 Don't get me wrong, both issues had some solid stories, but there were weak ones too--with Daredevil definetely coming out the loser in the contest of which comic I liked more. Why did I prefer Tomb of Terror? Well, the Man-Thing story was decent with good art, Werewolf by Night had an interesting story and art that while pretty was confusing as could be, the Hellstrom story was just plain great, and the prose mummy story wasn't too shabby. Oh, and the back of the comic has a great fake cereal ad that made me smile. In comparison to "Tomb of Terror" this Daredevil comic is a bit weak. 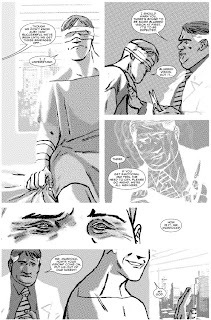 We have a story with decent art where Matthew Murdock gets his vision back but it dulls his other senses making him fail as Daredevil. Not a bad premise--although Murdock getting back his vision is a concept that has been done a few times--but the ending is just horrible with a, "It was all a dream!" twist that I hated. Then there is a Kingpin story about him framing someone that has the best art of the issue but again is a slightly dull story. To close out the issue there is another decent short-fiction piece with some illustrations. In other words, not too impressive an issue. In conclusion, a black-and-white comic can have just of a chance of being good or bad as a color comic. 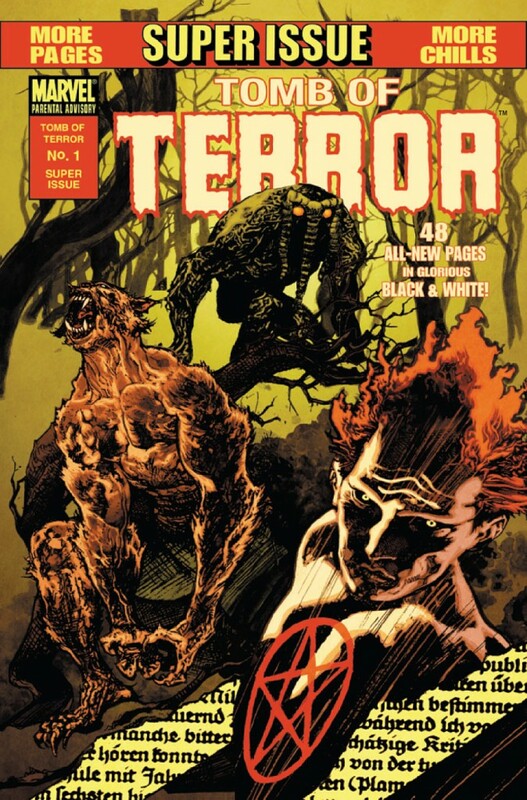 Also, in anthology books like this you get some hits and some misses, with "Tomb of Terror" in this case mostly hitting, and "Daredevil: Black and White" mainly missing. Still, if you want some continuity-free tales you could do worse than this collection. Hopefully Marvel will do more black-and-white collections.